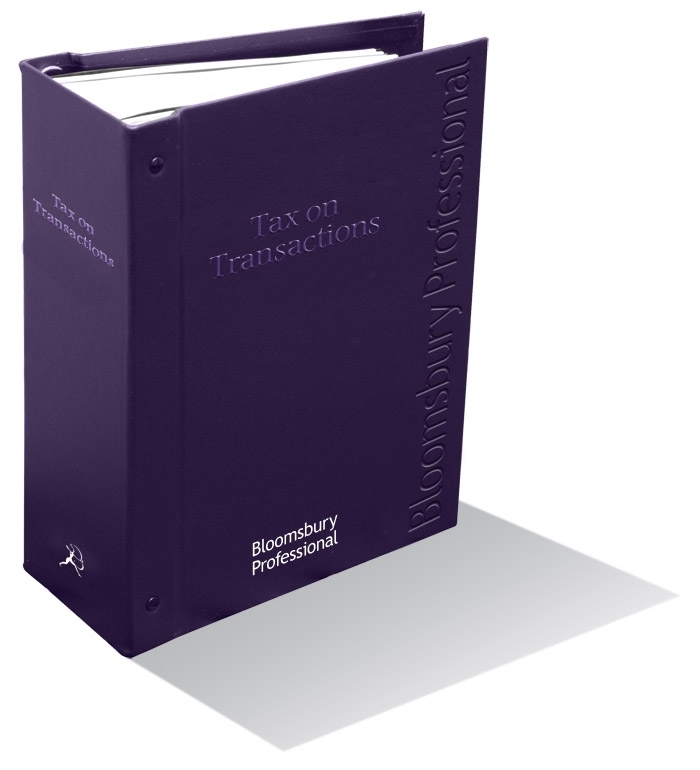 Each chapter addresses the full range of tax issues and how they interact, noting relevant commercial and legal matters. Many chapters are accompanied by timetables, checklists, and other useful reference material. Subjects covered include selling businesses, employee shares, pension planning, property transactions, tax planning within the family, partnership tax planning and attracting business finance. Tax on Transactions will ensure you always have the latest advice, guidance, and key information to hand. One looseleaf volume, subscribers receive their first year’s updating issues as part of the purchase price. Subscribers are then charged annually for subsequent updating issues.